I often think about the difference between art and craft and artist vs craftsman(person). I feel that there is cultural assumption that an artist makes one of a kind works, fueled by flights of fancy and the whims of a tortured soul. Anyone who has been in the trenches of making a living in the arts will tell you that it is the opposite. The Rolling Stones play “Satisfaction” every night, Gordon Ramsay makes risotto all the time and there are 57 known works in Picasso’s blue period. This repetition is what leads to the gradual refinements and developments that define the evolution of art/craft. 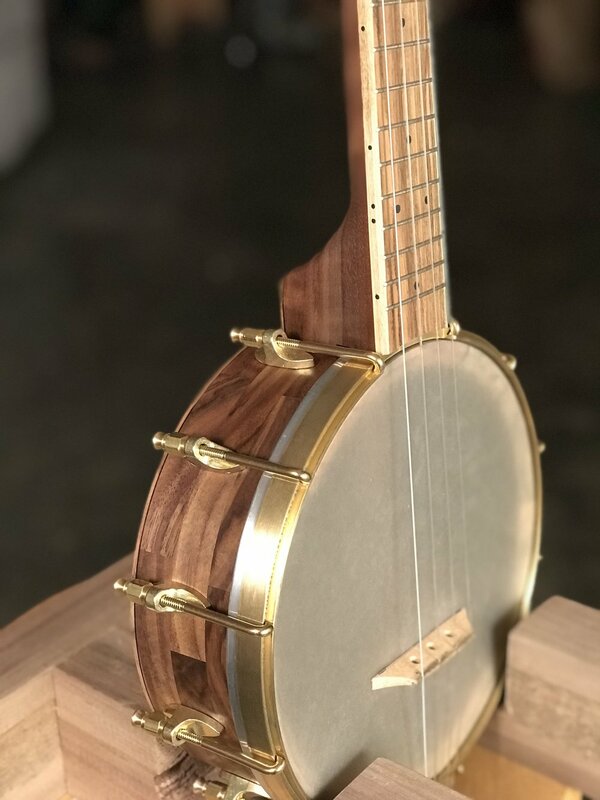 The walnut, concert banjo uke seems to be my current repetitive task, forcing me to reach to perfection and innovation at the same time. 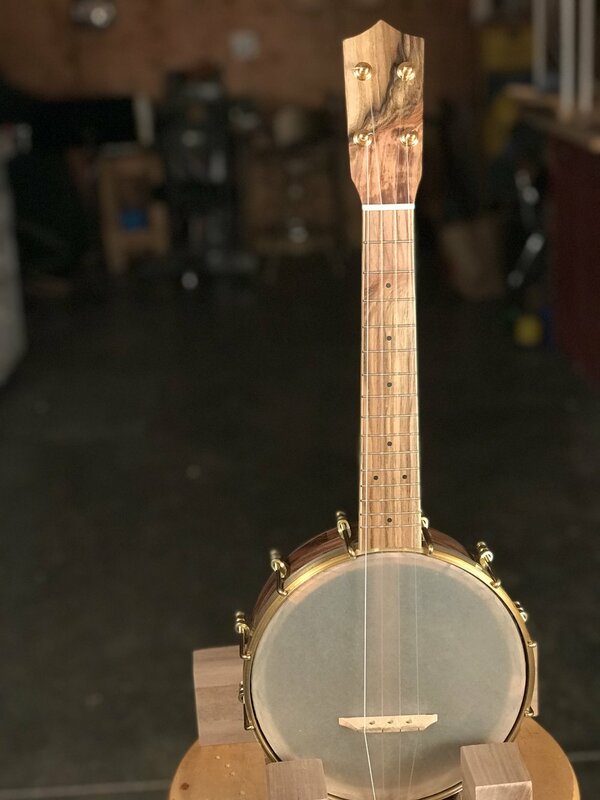 For this one, I laid out the neck differently due to the dimensions of the original boards from the Carpenter Ant stash in Portland. It required two pieces of pistachio down the middle of the walnut to build up enough width. 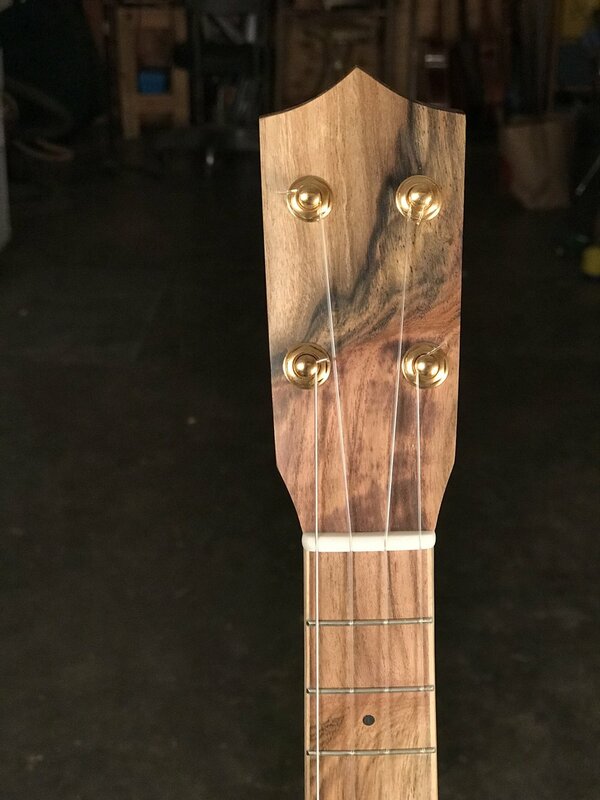 I also had fun playing with the swirling fretboard and headplate from Pistachio. 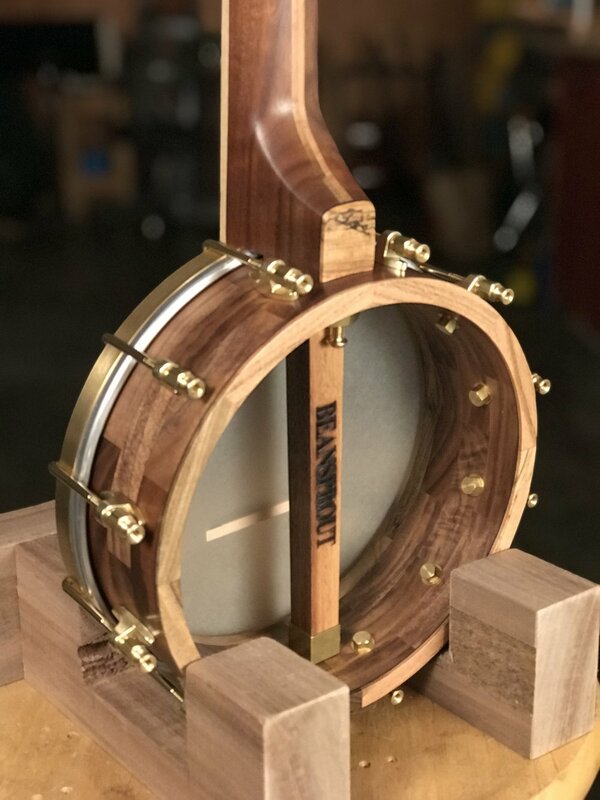 This instrument is both a repeat performance and one of a kind, just how I like it.